Designing custom railings for residential or commercial spaces can completely transform the overall aesthetic of any room. From glass to stainless steel, there are many different elements you can choose from and combine together. 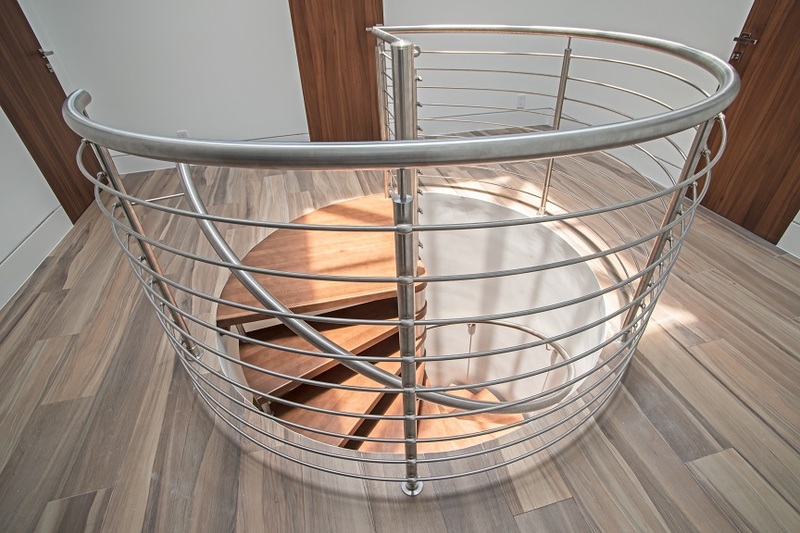 From curved to cables, there are a lot of options to choose from when customizing stainless steel railings. Stainless steel cable railings are one of many options we provide when designing custom railings for residential or commercial spaces. Incorporating cable railings into your design could be ideal for achieving that modern feel to your space. Stainless steel in 316 Grade is ideal for outdoor use due to its greater resistance to corrosion than other grades of steel. The recommended spacing between cables is three inches apart. 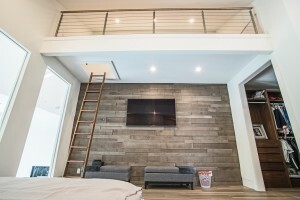 Cable railings are anchored from the ceiling to the wooden treads. 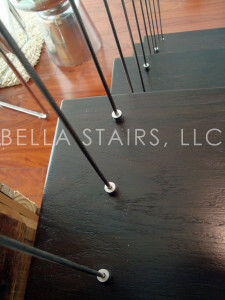 Incorporating cable railings into your design could be ideal for achieving that modern feel to your space. 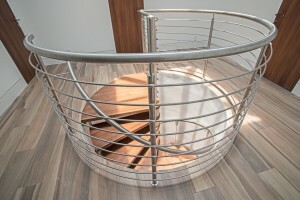 Stainless steel rod railings can create a unique design element to your residential or commercial staircase. These type railings can be fabricated in either a straight fashion or a curved design. They are ideal for any curved or spiral staircase. Curved Stainless Steel Rod Railings in a Brushed Finish. Straight Stainless Steel Rod Railings in a Brushed Finish. 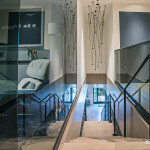 Glass railings and partitions are a great selection for opening up any darkened spaces. 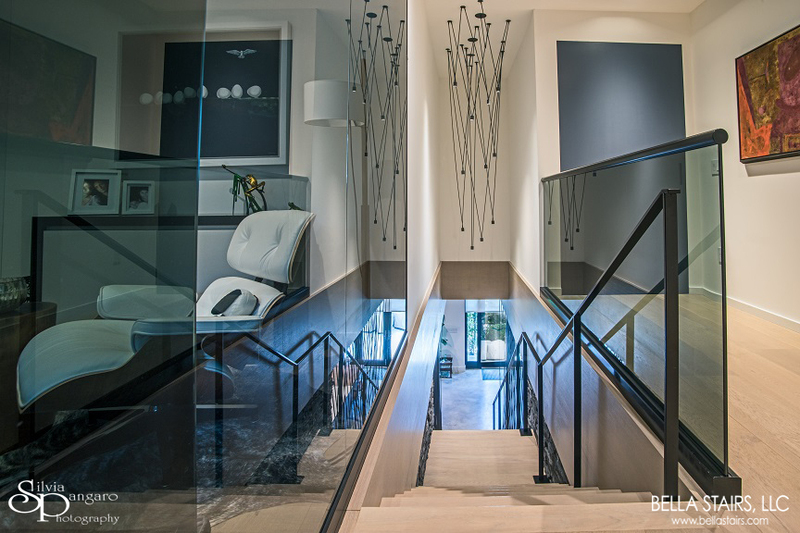 Glass railings allow for natural sunlight to fill into the space. 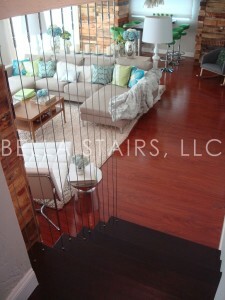 You can also customize your glass railings by adding a color tint to the glass. 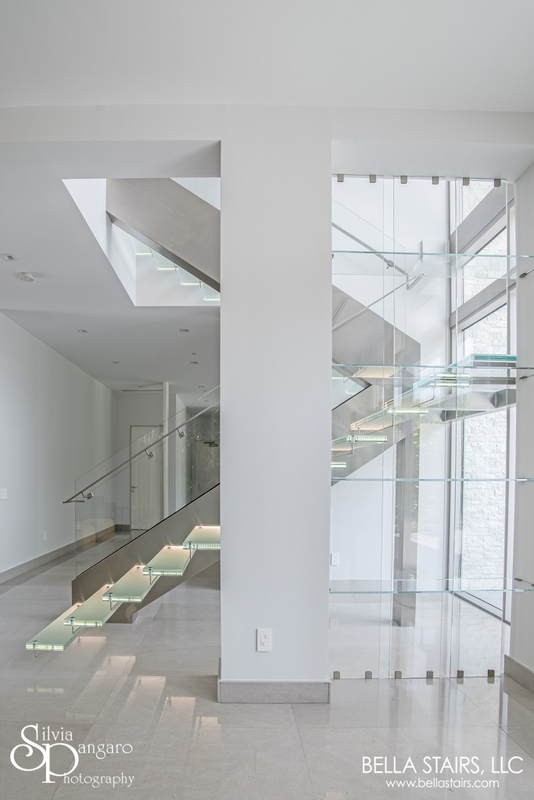 Laminated glass is recommended when designing or installing glass treads and railings. 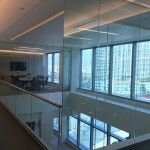 This type of glass allows the shattered glass panel to stay intact, which is particularly ideal for commercial spaces. Starphire glass is ideal for when clean lines and clarity is desired in your design. This type of glass leaves a clean and bright ambiance to your decor. 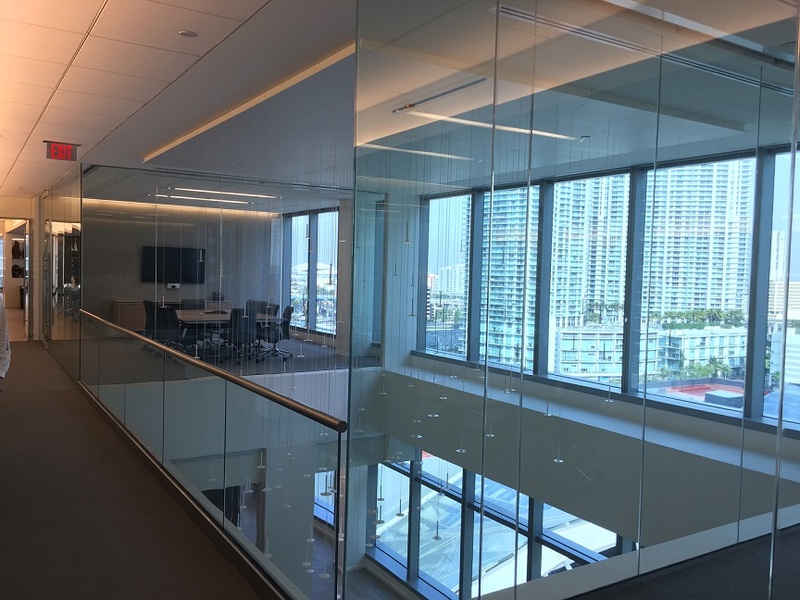 Choosing glass for your custom railings is perfect for creating a light and airy ambiance to any residential or commercial space.